Persianas' first real estate successes were based on recognizing, and bridging the supply gap for high quality residential accommodation in Lagos. 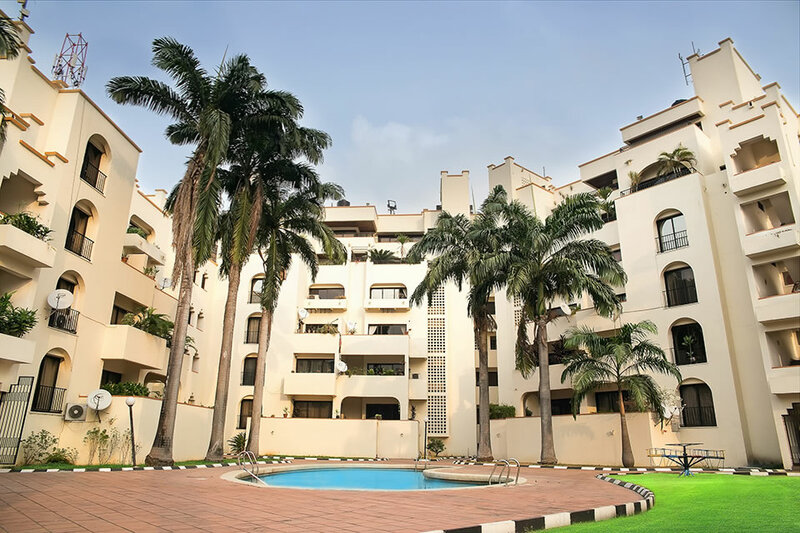 Persianas Palm Courts were conceived and built in 1992, in the heart of the vibrant city of Victoria Island, Lagos. One of the first compounds of its kind, the project was executed at the highest standards of finishing and fittings, and comprises of 2 blocks, housing 24 executive apartments and 3 penthouses. Providing functional facilities, a swimming pool, squash courts, a state of the art gymnasium and children’s play area, the estate provides luxurious lodging to discerning residents who have been accustomed to exceptional service, maintenance and security.